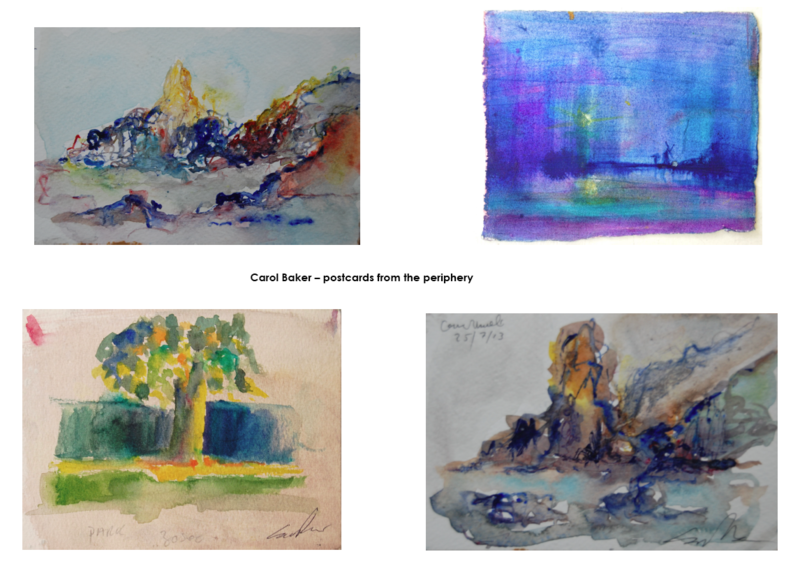 A sample of Carol’s postcard-sized watercolour sketches. We have several more of Carol’s small abstract landscapes in stock that lend themselves to being mounted singly, or in small groups like these. We also have some that are mounted in plain box frames. Please ask for photos.